Yellow Suitcase Studio: New Project! Hello friends! Got any fun projects you're working on? Here is something my sister and I are working on.... turning this fabric into a quilt! ﻿Guess what this fabric is from?!? 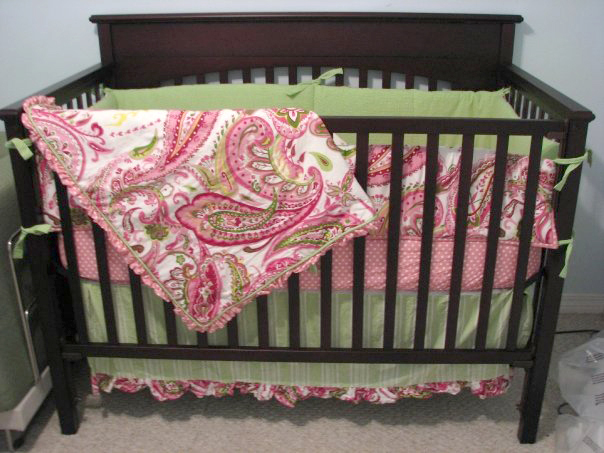 If you guessed crib bedding you are correct! 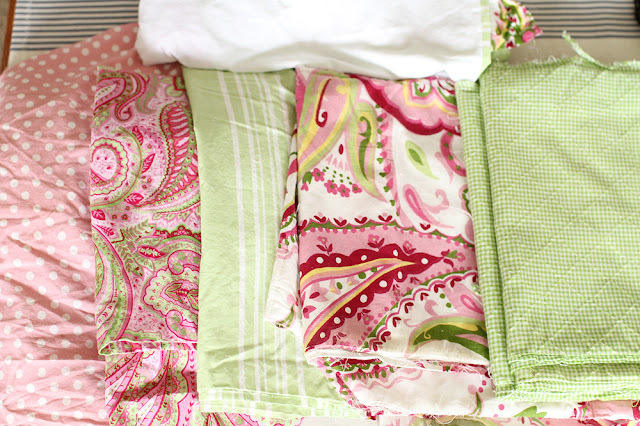 A family member contacted us about taking her little girl's crib bedding and making it into a quilt for her big girl bed. Love this idea! I think it's a great way to reuse materials you already have and make it a sweet keepsake. So far all of the fabric has been seam ripped and washed. It's waiting to be cut as we finalize the plans. We're doing a disappearing 9 patch pattern. There is a great tutorial here.